Grab your Discounted Frame Hanger - Easy Wall Hang and Level Tool while the store LAUNCH DISCOUNT is on. Once we reach 300-unit sales, we will be increasing the price back up to $39.95.This is absolutely a great gift! Don't worry any more. 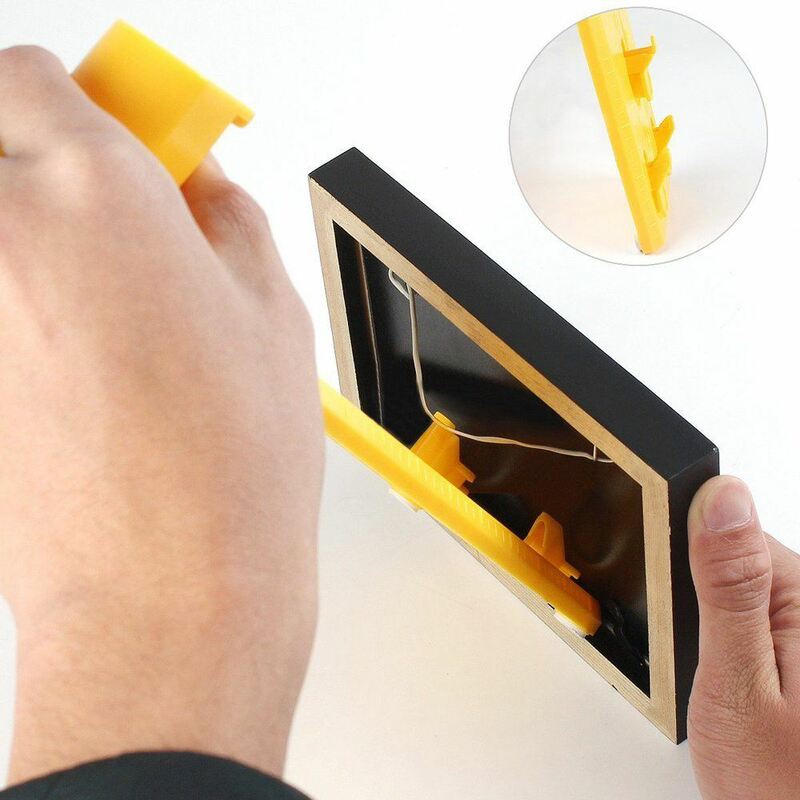 The Frame Hanger - Easy Wall Hang and Level Tool will help you hang decor items quickly and easily like a pro every time. 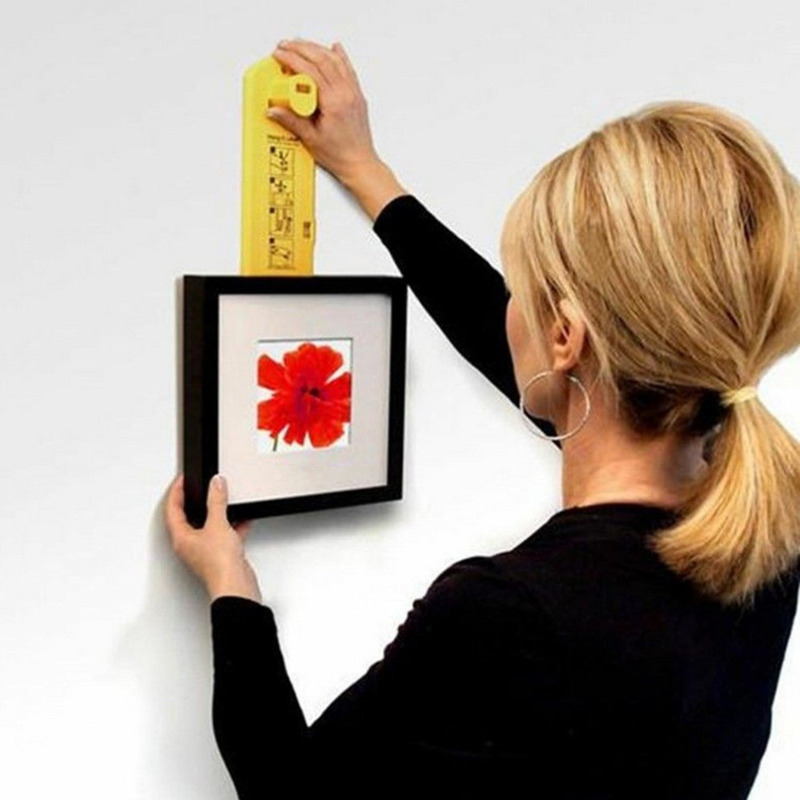 Visually hang your art, pictures, clocks, mirrors or anything you want to hang where you want every time, with no measuring needed. Metal pins mark exactly where the nail goes eliminating "oops" holes and scratches,making it quick and easy to decorate your walls like a pro. A single hook to hold up to 10 lbs and a double hook for larger items up to 20 lbs. There's even a built-in level to ensure to picture straight. Simply place your picture frame or other item on the hook, find the right spot on the wall, press the button to mark where the nail goes, hammer the nail in, then hang and level it. You're done. Works with all types of hanging hardware; Picture wire, Sawtooth hook, D-Ring and Keyhole.Can be used on all wall materials.Ideal for pictures, clocks, mirrors and canvas.